Enhanced the effectiveness of transaction broadcasts. Optimized node discovery protocol to reduce resource consumption. Upgraded the smart contract running environment to Node10. Refactored smart contract charging rules. In the gateway account query, added the consistency check between the gateway account version and gateway version. 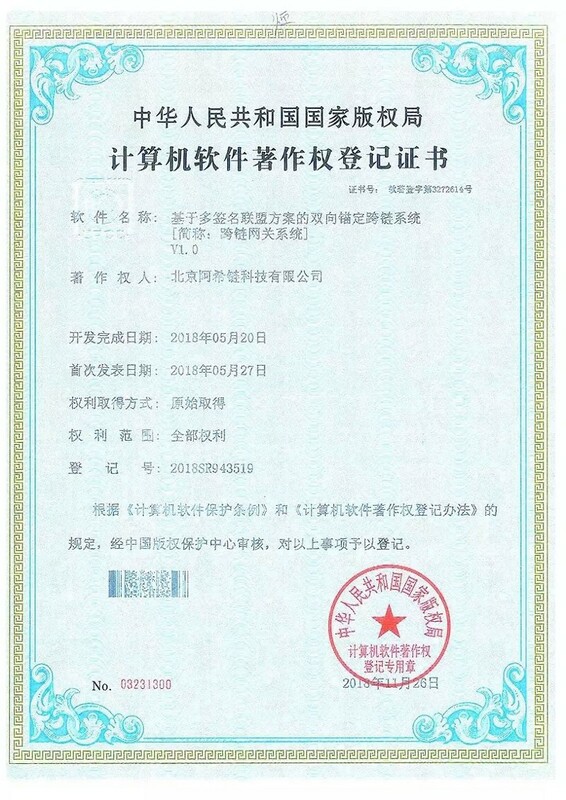 Recently, after the examination and approval of the National Copyright Administration of the People’s Republic of China, the “Two-way Peg Cross-Chain System V1.0 Based on Multi-Signature Alliance Scheme” (referred to as Cross-Chain Gateway System) independently developed by Beijing ASCH Technology Co., Ltd. was granted the Computer Software Copyright Registration Certificate. 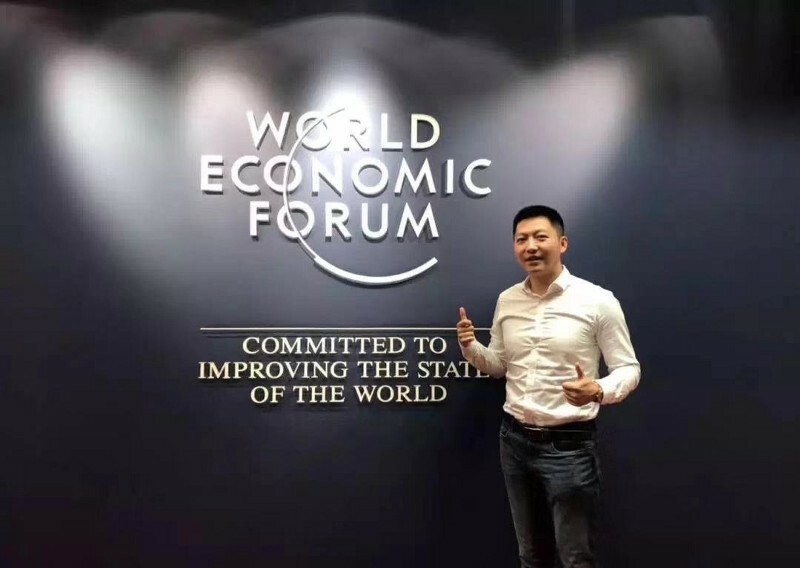 On Nov 28th, the World Economic Forum invited ASCH to attend as an innovative enterprise in the blockchain industry. James Kuai, ASCH Co-Founder, was invited to discuss with the attendees on the technology, incentive system and regulation of the distributed ledger and other core topics in the Fourth Industrial Revolution. ASCH has reached cooperation with ChaingeWorld.com this week to confirm its presence in the project display section. The ChaingeWorld.com provides users with one-stop services such as global information and express, industry data, community services, asset management and digital investment banking. On Dec 2nd, William Yin, ASCH Operations Director, was invited to attend the Blockchain Private Club hosted by MiiX. The Beijing Blockchain Private Club is an offline technical salon brand conducted by the MiiX Organizing Committee. It aims to help technology practitioners deeply understand the blockchain technology through the sharing of technical topics. 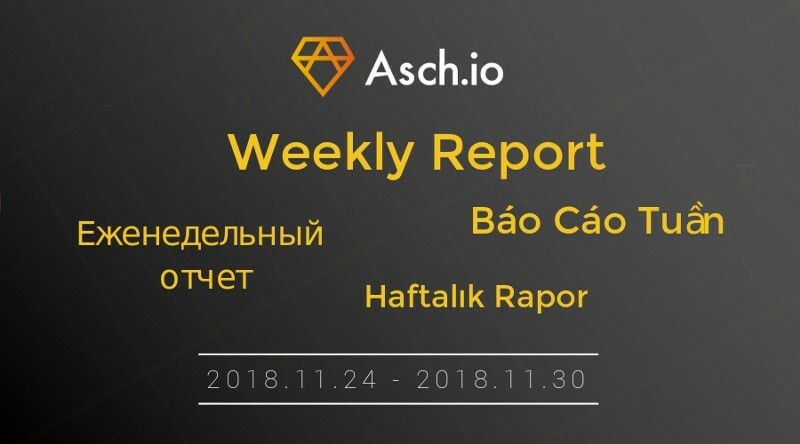 The daily Trivia Quiz event of the ASCH Vietnam Telegram Group continued and the winners' list for November were released. A total of 50 lucky fans won the prize! After the Quiz’s interactive event in the past two months, the knowledge of ASCH’s Vietnamese community was further improved. On the afternoon of Nov 29th, ASCH held a seminar on the theme of “Discussion about Blockchain Game DAPP” in Beijing Sanlitun SOHO, and invited blockchain professionals to discuss the situation, impact and future trend of DAPP games.